Do you know why more and more people feel anxious about their work? Maybe even you feel more anxious. I believe it’s because most of us are playing the old rules to a new game we aren’t aware we’re even playing. We have no idea how work is changing as we know it. All work is currently undergoing its most radical transformation since the Industrial Revolution. It’s changing even more dramatically than it did for someone who left the family farm for a factory job in a big city during the late 1800s. In 1850, just as the Industrial Revolution was gathering steam, 64% of Americans still worked as farmers. By 1920, that number fell to 30%. Today, less than 2% of Americans are farmers. By 2020, approximately 50% of the private workforce will be working for themselves in some capacity. Automation will affect 60% of all occupations by 2030. How you get work, what you do for work, how you perform your work, where you work, how you work with other people and how you get paid is all about to change. What’s causing work to fundamentally change? There are four primary trends: 1) permanent state of change 2) automation 3) decentralization of management and 4) infinite niches. Your work is now in a permanent state of change. My father worked for AT&T for 30 years. Then he worked for 12 years at Bayer Pharmaceuticals before retiring at the age of 62. Within the first 5 years of my career, I held 7 different positions at 5 different companies! My father’s story is one for the history books. My story is the new reality. The average job tenure right now is 4.5 years and it’s 3.2 years for Millennials. Think of a skill you’ve learned for your work within the last two years. That skill will start losing its value in the next few years and in less than 10 years it will have no value at all. Baby boomers used to be able to learn a skill and to count on using that same skill for 20 or more years. Today the half-life of skills has fallen to 5 years. What the heck does that mean? The “half-life” of a skill refers to the period of time a skill is innovated, flourishes and then becomes irrelevant. I’m going to steal this awesome example from Nathan Lustig. Here’s how the half-life of driving skills has changed over the course of human history. If you lived during the 1800s, not only could have been employed as a horse-drawn carriage driver your entire life, you might have come from a long line of carriage drivers in your family! If you’ve been an Uber driver over the past several years, your skill is just a few years away from being made irrelevant when 10 million self-driving cars are predicted to hit the road in 2020! What does this mean for your career? You will be constantly learning new skills throughout your career. Gone are the days of graduating from college and putting the “learning phase” of your life behind you. Reskilling yourself every few years is now a permanent feature of work. In fact, self-employed workers are better prepared for learning new skills than traditional employees. Research shows the average employee has roughly 25 minutes a week or 5 minutes a day for training. Limited time is one reason why only 30% of employees v. 55% independent workers are engaged in learning new skills. Independent workers are motivated to learn new skills to take advantage of new opportunities. If anything, it’s going to eliminate the tedious work most of us complain about doing! Less than 5% of current work will be fully automated in the coming years, but automation will change how 60% of occupations do their work. In fact, 82% of 18,000 employers from 43 countries in a recent survey stated they plan on maintaining or increasing their current staff levels. The work most at risk for automation is routine work of any kind, whether blue collar or white collar. On the other hand, automation is creating a need for new types of work and skills. There are several industries suffering a “skills gap”. There are more jobs available than people with the necessary skills to fill them. For example, there will be an estimated 1 million more computer-related jobs than applicants by 2020. 60,000 high-tech agriculture jobs are being created each year, but only 35,000 students are graduating each year with related degrees. As someone who has worked for themselves for the past 17 years, I am so thankful for automation! It has made running my business so much easier and more profitable! There are more and more millionaire solopreneurs than ever before. It’s been one of the biggest trends in work today as chronicled in the recently published book, The Million-Dollar One-Person Business by Eliane Pofeldt. In 2017, there was a 5% increase of independent workers making more than $100,000 each year. From my own personal experience and interviews with hundreds of self-employed workers, I believe automation is the primary reason for this increase in wealth. Automated accounting, marketing and communication technologies have helped me do more than I could do on my own and for less than hiring a team of full-time employees to do all my routine work. How many jobs have you left because of your boss? How many jobs have you left because you didn’t get to work how you work best or because you didn’t get to do the work you wanted to do? Good news! The days of working in centralized management structures are numbered. In 2014, the online shoe retailer Zappos known for its devotion to making its customer happy made a radical announcement. They got rid of their bosses. They scrapped their hierarchy in favor of a self-management philosophy called holacracy. The theory behind holacracy is to get rid of bureaucracy that holds back innovation. It promises to maximize growth by empowering employees to function more like a computer operating system by making decisions in real time as new scenarios and opportunities arise without approval from above. In 2010, Basecamp founder Jason Fried delivered a TED talk, called Why work doesn’t happen at work. He cited meetings and managers as the two primary reasons. Employees interacting with customers on a daily basis are also more likely to be in tune with the nuances of evolving trends than the CEO. The Zappos experiment hasn’t been without its setback, but visionary entrepreneurs know the most effective way to adapt is by learning from experimentation. By the way, this is not an entirely new idea. In the 1980s, General Motors partnered with Toyota to build the Nummi auto plant in Fremont, CA to learn Toyota’s distinctive management techniques. Toyota took over the worst performing GM plant and turned it into one of it’s best almost overnight. How? They empowered assembly line workers to make decisions, making production more efficient. General Motors, however, failed to successfully implement what it learned from Toyota at its other plants. Today the Nummi plant is owned by Tesla. Self-management might not be the best approach for every company, but I do believe corporate structures over the next decade will look more like holacracy and less like 20th-century hierarchies. Since the 1980s corporate hierarchies have been continuously flattened. In 1986, an average of four managers reported directly to a CEO. By 2003 that increased to seven direct reports as middle management positions were cut. There is less and less need for middle managers as automation, outsourcing and hiring temporary workers increases. Entry level jobs recent graduates once counted on as their first step up the corporate ladder are also being eliminated by automation. Collaborative management software like Basecamp, Dropbox, Slack, Trello and countless others, empower teams to manage themselves. Artificial intelligence is only going to make those platforms smarter and smarter, helping people work more efficiently without the need for managers. Your relationships and your portfolio of work are more important than credentials from universities and corporations. Period. Resumes are on the cusp of becoming a relic of the past. 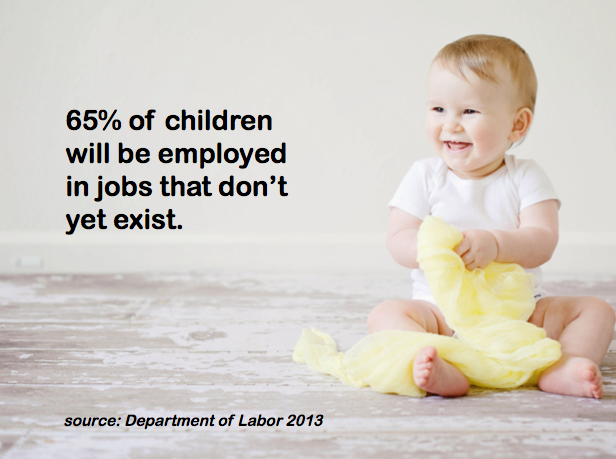 Less than 15% of people today get jobs by applying for them. They find work through their relationships. In fact, research from Facebook shows the majority of people get most of their work from so-called “weak ties” or mutual connections, rather than from direct relationships. Building a trusted collective of your peers has never been more important for finding work. People are also getting more work from digital platforms. According to research from Pew, 24% of Americans earned money from digital platforms by selling stuff on eBay, driving people around via Uber, performing domestic tasks via TaskRabbit and getting freelance project work from Upwork. These “on-demand” work platforms provide an alternative source of work to traditional hierarchies. As the “gig economy” continues to evolve, more elite platforms offering higher paying work are now emerging like Reedsy for writers and publishers, Gigster for software engineers and Working Not Working for tech freelancers. When I started my previous business, Local Broadcast Sales in 2008, I only had 50 potential customers. That’s it! I sold access to an online video archive of digital advertising sales training to state broadcast associations. There’s only one broadcast association in each state. Each association that bought my service, gave access to all their member TV and radio stations. At the height of the company, I had 32 associations as clients and generated $600,000 a year. My point? There are riches in niches! We are moving out of an economy of mass production toward one of mass personalization. Let me ask you this, how many different beverages do you think the Cola-Cola Company sells besides Coke? To maintain their 22% market share of the non-alcoholic marketing in 2017, they sold 3,500 different beverages representing 500 brands! Consumers now want everything customized to their tastes, which means more opportunity for you to satisify their needs! In 2004, editor-in-chief of Wired Magazine Chris Anderson wrote an article about the rising opportunity for a greater range of niche products and services to become profitable businesses because of the Internet. 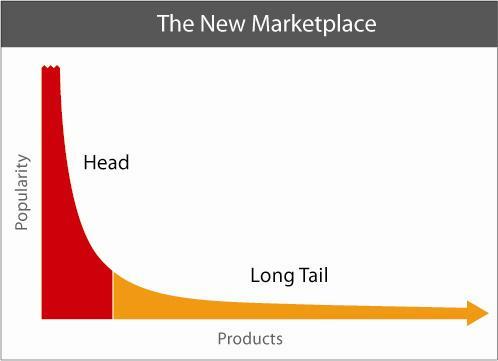 He called it the “The Long Tail Theory“. The orange portion of the sales curve above represents the sales of niche products. The red portion represents mass-produced products. Prior to the Internet, most industries could only invest in mass-produced products and services because that was the only way to make a profit to justify their original investment. The Internet made selling more niche products profitable because it eliminated physical constraints. For example, a grocery store has limited space. They can only sell the most popular items to squeeze every bit of profitability out of their limited shelf space. Amazon, on the other hand, is not limited by physical constraints, so you can buy almost any food item you want from them. The Internet also lowered the barrier to entry into the marketplace by making it easier and cheaper for niche products and services to find customers. My mom loves doing puzzles and loves adult coloring books. Thanks to the Internet I was able to find her a puzzle that she could color for her last birthday! The Internet has made finding very niche items and selling them possible. The mass-market economy valued conformity. It promoted an ethos to consume more and more stuff, so each of us felt like we fit in and felt accepted. The market of infinite niches does not value sameness. The new status is having the courage to be yourself and to be unapologetic about it. One of the most basic rules of marketing is to create a product or service that’s different from what already exists. What’s more unique than you and your approach to selling a solution to a problem you are excited about solving? The more you are yourself, the more you will attract people who are aligned with your values and want to support your work. PJ Jonas, founder of Goat Milk Stuff. She sells soap made from goat milk. Her business supports her entire family of 10. Griffin Jones, founder of Fertility Bridge. 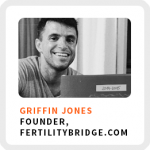 His digital marketing agency serves fertility clinics in North America. He only has 200 potential clients and he generated $250,000 in 2017. Kina McAllister, founder of MySTEMbox. 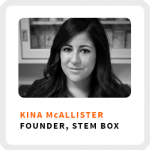 She sells a monthly subscription box of science experiments for girls ages 7 to 12. She shipped over 6,000 boxes in 2016. Lenny Gale, founder of Life is NOYOKE. 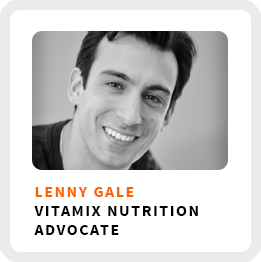 He and his wife become the #1 affiliate marketers of Vitamix blenders writing about vegan smoothie recipes. Have a crazy idea? No has never been a better time in the history of humankind to give it a shot! I know this is a lot to take in, especially if most of this information is new to you. I know it might be tempting to go hide under the covers and lock yourself in your bedroom until this passes, but this is the new normal. The best way to deal with it is to face it. I am on a mission to educate as many people as possible about what’s happening to work as we know it and that we can all do something about it! Never stop learning. Be open to change. Don’t be threatened by technology. Make it work for you. Your best source of work comes from your personal relationships. Be yourself and trust that the people who believe in your work will find you. As you might image, I believe working for yourself sooner rather than later is the most effective way to prepare yourself for the future of work. Start by assessing yourself and your potential by enrolling in our free 12-week Self-Assessment Challenge. If you are ready to explore your self-employment options now, please download our free Self-Employment Starter Kit.